Here is a lucid, accessible, and inspiring guide to the six perfections―a set of Buddhist teachings designed to transform human character through the perfection of generosity, morality, tolerance, energy, meditation, and wisdom. 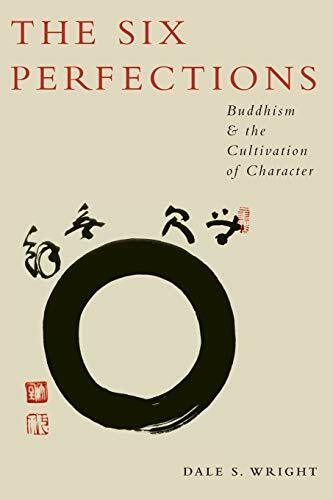 Drawing on the Diamond Sutra, The Large Sutra on Perfect Wisdom, and other essential Mahayana texts, Dale Wright shows how these teachings were understood and practiced in the Buddha's time and how they can be adapted to contemporary life in a global society. What would the perfection of generosity look like today, for example? How can we learn to be giving―without ulterior motive or self-concern? Devoting a separate chapter to each of the six perfections, Wright combines sophisticated analysis with real-life applications. Buddhists have always stressed self-cultivation, the uniquely human freedom that allows us, if we choose, to shape the kind of life we will live and the kind of person we will become. For those who wish to live a more perfect life, The Six Perfections offers invaluable guidance.